108 Rocky Way Court (Deerfield) Bedrooms: 3 Full Bathrooms: 2 Half Bathrooms: 0 Square Feet: 1,500-1,800 Lot Size: 1.47 Rare find! Charming ranch home on private 1.47 acres cul-de-sac lot. No homes located behind this home. Great features like a brick front, side load 2 car garage, screened porch and deck. Open plan with vaulted ceiling, gas log fireplace in great room and bonus room. Kitchen offers stainless appliances, custom tile backsplash and lots of cabinet space. This is a must see home! Some properties that appear for sale on this website may subsequently have been sold and may no longer be available. 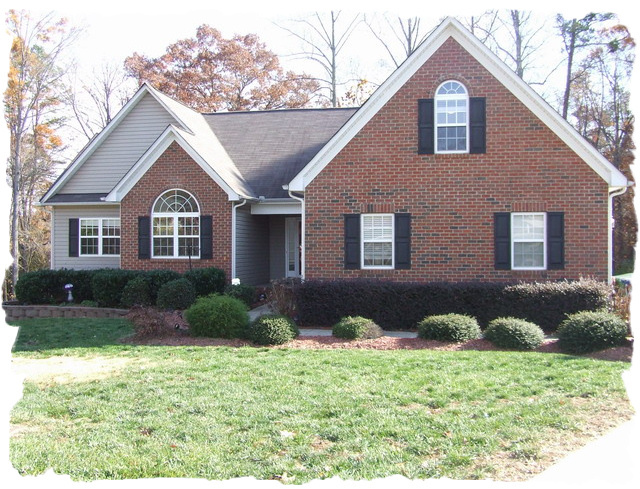 This entry was posted in Buyers, Gaston County - NC, Lake Living - Mtn Island Lake - NC, Lee Ann Miller Team, Mount Holly - NC, Mt Holly - Subdivisions, North Carolina, Real Estate - Buyers, Real Estate Market, Relocation and tagged 3 bedrooms, 3 bedrooms 2 baths, Acre Lot, Acreage, Buyers, Deerfield, Deerfield - Mt Holly NC, Gaston County - NC, Homes for sale with acreage, Lake Living - Mtn Island Lake - NC, Lee Ann Miller Team, Mt Holly - Listings, Mt Holly - NC, Mt Holly - Subdivisions, Mt Holly Homes for Sale, North Carolina, Real Estate - Buyers, Real Estate Market, Relocation by Lee Ann Miller. Bookmark the permalink.